Bánh cam or bánh rán is one of the most famous and beloved Vietnamese desserts. A golden brown shell of sesame studded rice flour that is crispy on the outside yet chewy on the inside, yielding to a sweet and moist mung bean coconut filling. Growing up, my mom would make hundreds of bánh cam to sell and raise money for various charitable organizations and the entire family would sit around the table to help. Ever since we all moved away for college and our separate careers, it’s just been my dad helping her roll the bánh cam. It’s been years since I’ve laid my hands on this sweet ball of love, but recently, my parents came for a visit and we had the pleasure of convening around the table again as a family to make some bánh cam. We’re not going to spend too much time belaboring the differences between bánh cam and bánh rán (as northerners would say) as they are nearly identical. Banh cam can sometimes be served with simple syrup and sometimes may not have sesame. 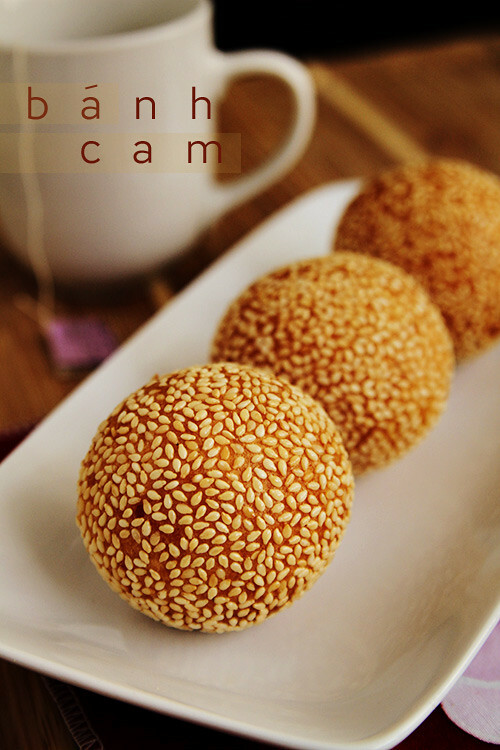 Most of our friends and westerners affectionately call them sesame balls, which works perfectly fine with us. Steamed mung beans, shredded coconuts, and sugar comprises the filling. The mung bean filling should be moist and not dry, and like most Asian desserts, not too sweet. You can make the mung bean filling days in advance and even store them in the freezer to keep handy. Since this is Mothers Day weekend, we made a video tutorial and tribute to my mom and thank her for everything she’s done for us, including sharing this wonderful and easy banh cam recipe. We are completely indebted to my mom (and dad) for showing us this and many other family recipes. The best way to enjoy bánh cam is hot out of the fryer when it’s most crispy. Flatten it back into a disk to evenly spread out the mung bean filling and enjoy with friends and family over tea. But of course what is a dessert nowadays without it being turned into a pop? We riff off the name “cam” which means orange and added some citrus leaves. Happy Mothers Day and enjoy bánh cam from our family table to yours. Soak mung beans overnight or at least 1 hr in warm water. Steam until soften and easily smashed with your finger tips, roughly 20 minutes (or longer if not soaked overnight). In meantime, dissolve sugar in warm water. When mung bean has cooled, transfer to mixing bowl and coarsely mash. Add the sugar water mixture and coconut and mix well. The texture should be like mashed potatoes. 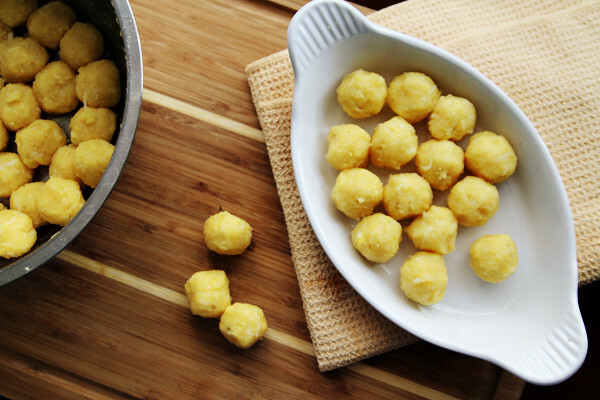 Allow to cool and form small quarter size balls of mung bean. Refrigerate covered. Dissolve the sugar in 2 1/2 cup of warm water. In large mixing bowl, add sugar mixture and the potato flakes and stir to dissolve. Then add the baking powder and stir to dissolve. Finally add the two types of rice flour and mix together to form a big ball of dough. There is no need to knead the dough. The dough should be a wet play-dough consistency. Add a few tablespoons at a time of the extra 1/4 cup of water to the dough and mix well if it's too dry or gets to dry when working. Pinch off a golf ball sized piece of dough and form into a ball. Flatten to a disk with palm of your hands and thin out the edges to form a pancake. If the dough cracks at the edges, it's too dry. Add a few tablespoons at a time of the 1/4 cup of water to the dough and mix well. Place the filling in the center and fold dough edges together and seal seams by rolling in the palm your hands. Roll in a bowl of sesame seeds to cover completely. Roll in the palm of your hands to make sure the sesame seeds stick. Cover loosely at room temperature and allow to rest for at least 1 hour. Fry at 325 degrees, rotating the banh cam frequently for even frying. It's okay to fry many at a time as you want them to be submerged in oil for even frying. When golden brown, remove and drain and enjoy. Cooks Note: You can delay the frying i.e. make this in advance beyond than 1 hour time to rest, but we wouldn't wait any more then 1 day before frying. To reheat, toast in toaster oven until crispy. Wow! My mom makes a lot of Vietnamese recipes from scratch, but never banh cam! This is one of my sister’s faves, so we might have to try it out! Let us know how it goes, we’ll love to see if on your blog soon! I love those, but have never made them. i am bookmarking your fabulous recipe! One of my favorite vietnamese desserts of all time except for the coconut. My mom wouldn’t make this for us because when she use to make it, somehow one would always explode on her and it gives nasty burns. I haven’t tried making it yet though since I am still afraid of deep frying. Too bad there is no bake version of this, I would be all over it. the secret is the potato! if you don’t include the potatoes, they will explode on you…but we guarantee there is no explosion with this recipe! I loved the video – felt like I was in your home with your lovely parents. You made this so approachable. I have it bookmarked for soon. THx for a lovely post. Cathy, we should cook together sometime! This look so delightfully perfect! Thanks for sharing such a unique recipe! Awesome! Everyone loves these things! I remember making them with my mom and ours would crack/explode on us. They never quite came out intact with that beautiful golden hue all over like you see in the store (yours are beautiful looking, by the way). I am curious about the use of mashed potato flakes (you’re talking instant mashed potato flakes, right?) – that can’t be authentic, correct? I can’t imagine Vietnamese people having access to that in Vietnam. So I assume this was “Americanized” somehow? Is it substituting for an ingredient that is hard to get here? Would love, love, LOVE it if you can make this one dish I recall from my childhood in Laos. I am sure it is a Vietnamese dish, but I’ve not had it in the U.S. It sounds like bahn cog (not sure the exact phonetics or spelling on it). Basically it was made by pouring batter into this round pan that is similar to a muffin pan (the holes for the dough are about the size of golf balls cut in half). The whole pan sits over the heat source and when the dough is mostly cooked, you add the typical minced pork (not sure what else is in it, though) and then I think you add fresh bean sprouts. When it’s done cooking, you take one half of the circle (which doesn’t have the filling) and flip it over the half that has the filling. So you basically end up with a filled golf ball looking thing when done. It’s eaten drenched in sweetened nuoc mam. Even if you don’t know how to make it, if you recognize it or the Vietnamese name, that would be great. Thanks in advance. Keep up the awesome work. You guys should seriously consider a professional cookbook at some point. I so enjoyed watching this video. Loved everything about it, your narration and also the subtitles. 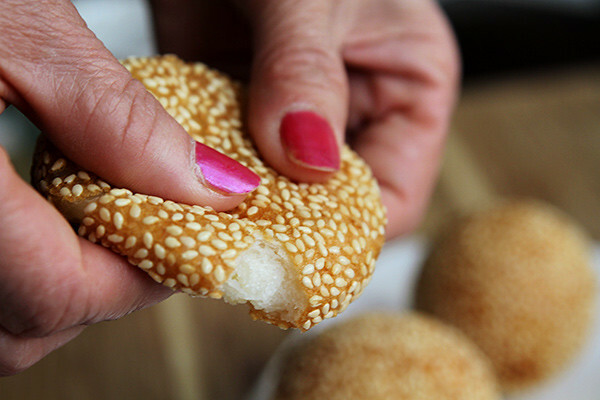 And could those sesame balls look any more perfect? Great job! Thanks, Jean! We’re still learning video and it’s been fun! I love sesame balls! Use to eat them as breakfast!! these are great any time of day..even for breakfast! Love the video of these perfect Bahn Cam. This totally reminds me of my childhood with family. Thank you! Chinese have a similar dessert too right? Let us know how it goes–it should be fun!! Hey guys. For the baking powder, does the recipe call for the Alsa brand baking powder (Vietnamese stores, single acting, pink pouch) or regular (American stores, double acting). Going to make them later this afternoon, but just wanted to make sure. In this case we think either one works, but we did use the ALSA brand since that’s what we typically have in the pantry. Let us know how it goes and post on our FB! What an awesome recipe! You guys never cease to amaze me. The images are mouth watering and the recipe is so authentic this is my go to source for all viet recipes. 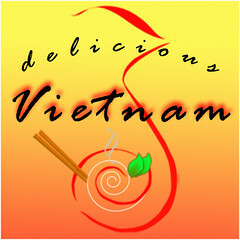 So many of my friend want to learn how to cook certain viet dishes n I just refer them to this site. Please keeo up the great work. I love the new design btw!! I have to say I love the video. It really adds an extra element to your blog. Great post! Thanks, Danny…video is actually really fun. Really digging it. Great Recipe! I always wanted to try and make Banh Cam. I think I might try now. Funny with the Pop idea. Yum! I want to try to make this for Father’s Day! I was wondering how long do you have to fry it approximately? Thanks!! Thank you for sharing the recipe. Quick question: You mentioned about making it ahead then fry it later. Can I make the banh cam and leave it at room temp for 5 hours before deep frying or should I put it in the fridge then take it out and deep fry? Thank you. we’ll probably leave it loosely covered w/ plastic wrap at room temp. we’ll refrigerate if storing over night. These are so delicious! I love these and buy them in Tokyo any time I can. Yours look perfect! Mouth watering!!! My grandma used to make this for us—though I used to always get in trouble when I helped her bc I used too dau xanh! Love the video and that your folks were in it! just wondering… roughly speaking, how many banh cam does this recipe yield (based on the size you made)? i love this dessert, but it’s something i prefer to purchase as opposed to make. i would totally buy this from your family. your mom’s explanation of “that’s just how it is” is both amusing and such the thing my mom would say when explaining a cooking technique/recipe. This is indeed a classic Asian dessert, one of my favorite forms of Asian donuts. I’ve always loved that contrast of crispy and chewy glutinous dough. Great job mom! Those look so good, especially the popsicle version! Ur banh cam looks great! 1) the baking powder is 2 tsp or 2 Tbs? yes, it’s 2 tbs of baking powder and 1 American sized cup. let us know how it goes on our FB page if you make it! Thks for the quick reply! I had no idea about the potato part. And yes, they’re definitely when hot and freshly made. Speaking of fresh, have I mentioned that I love the blog makeover? What a lovely trip down memory lane! It’s been so long since I’ve had one of these! I’ll have to have my own mother come by to help me. P.S. The pops are adorable. I was so excited you guys posted this video and recipe. Buy,I’m having a problem with the dough “melting” for lack of a better word in my hand when I am trying to form a ball. And when I set it down on a baking sheet the bottom flatten. What do you think is wrong with my dough? I thought I followed the directions exactly. Thanks for any helpful tips to help towards a plate of finished banh cam for supper tonite. yes, after a long time of resting (more than 1 hr), they may deform. Just reform them into a ball by rolling it in your palms again. Also, try just a tad bit less water if your dough is too soft. Let us know how it goes on the facebook page! Love the video, watch it twice already. Thank you for sharing. I will have to show it to my sister so she can try it out. And we do love banh cam. I know a lady making beautiful banh cam but doesn’t want to share her recipe… I have tried your banh it tran and loved it so just say that i’m a big fan of you guys. Mmmm… Childhood memories are flooding in.. The video is great! Tell the parentals that they did a great job being the stars of the show! I so want to make this soon! Umm… I don’t know if we can get mash potato flakes here in Australia, can you omit it or substitute it for something else?? you definitely do not want to omit it. just boil a medium sized potato and mash that in. Let us know how it goes! I’m glad I stumbled upon this blog! Vietnamese food doesn’t get enough press past the pho and summer rolls. (though I have to admit, I am a devout fan of pho dac biet). The banh cam looks delicious! We call this onde-onde in Indonesian; one of my childhood snacks. I often bought it here at Asian stores. From the outside I thought these were our sesame balls filled with red bean paste hehe. I actually don’t much like red bean paste, so I’d love to try your mung bean filled version. So cute as pops too and don’t have to get our hands greasy that way =D. just want to thank you, I tried it and it turn out very well. My dough was a little on the thick side so I’ll roll the dough thinner next time. But, the color and filling came out perfect. My mom was so amazed and she told me to go sell them. Thank you so much! Hi RC! Question for you. 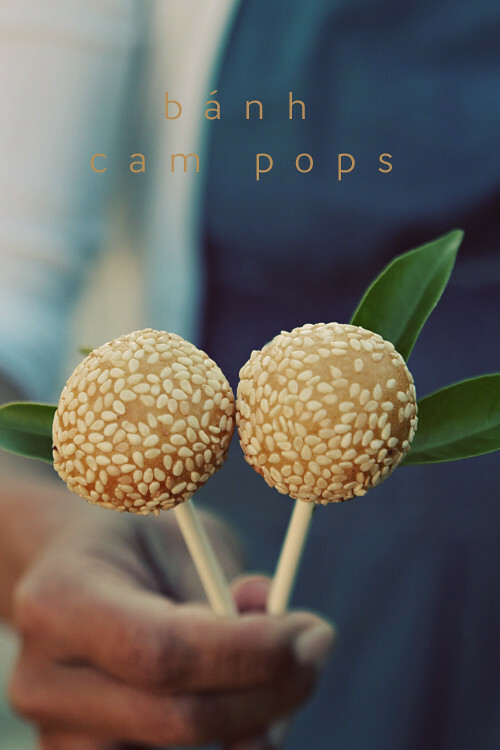 To make the sesame balls into a pop, is there something special we need to do to get the balls to stay on the stick? I am wanting to make a few of those pops for my daughers first birthday! Thanks! I tried making this on the half scale last Sunday. All the ingredients were reduced to half. They all exploded or popped, except one or two I did add the mash potato flakes. Maybe, I didn’t add enough or maybe the oil was too hot. I did keep the temperature around 320F…hmmm. hmm…not sure why it wouldn’t we have made this several times and numerous readers posted photos of it on our Facebook w/ success…are you sure you’re following everything right? i’m from Germany. Your website is so adoreable. I made these sesamballs today and they came out very good! They were very crispy and yummy! My boyfriend just ate 5 sesamballs at once! Thanks so much for that recipe! Wow, I’m definitely going to have to try this. Also, how many does that recipe make? Also, do you think it is possible to freeze the balls before you fry them? Then just thaw them and fry when I want some? It’s just me and my husband and I’m the only one that likes them. you can make the mung bean filling ahead of time and freeze, but we haven’t had any success freezing the dough. Thank you so much for posting this recipe….it was easy to follow. My 3 kids (ages 5, 3, and 2) and I made this yesterday and the banh cam came out perfect…not too sweet and crunchy. I pre-made the mung bean a week beforehand and placed them in the freezer. I defrost them in the fridge the day before I cook. The day of the cooking, I added dry coconut to the mung bean paste, make the dough, and roll them into different shapes of balls. My kids made banh cam without the mung bean paste. They had a blast rolling the dough into small balls and then rolling the balls into the sesame seeds. Yes, it was messy…but it was fun and a great learning experience for them. Afterward, I created a banh cam “flower” arrangement using wooden sticks and citrus leaves. I placed the arrangement into a vase. The kids pluck the banh cam from the “flower” bouquet when they want a eat the banh. Mm-mm…..yummy. what a fabulous story…we love how this banh cam recipe brought your family together! hmm..we’ver never tried powder, but it seems it should work! try using online converter to conver the cups to grams. Thanks and good luck! I don’t have a measuring cup, pls tell me the weight in grams for the recipe, thanks alot ! Hi, I would like to know if these sesame balls can be baked instead of fried? And how many would these make? It’s Saturday today and I’m thinking of soaking the beans overnight, then making the paste and balls tomorrow and fry (or bake, if possible) on Monday morning. Would that be okay? Great video by the way, thanks. we don’t have any experience baking it so can’t answer that unfortunately. don’t think it will be crispy though. Hi! I loved your video and the recipe! The only question that I have is–Are potatoe starch the same as potato flakes? Do you think it would make a difference if I used Vietnamese potato starch instead of potatoe flakes? we’ve never tested with starch, so can’t say. but flakes are easy to find, just get instant mash potatoes. thanks for sharing the recipe. I was wonder if you can tell how big the filling would be? how many would these make? Does the ball kept (deflate) his shape after cool ? we make the filling about quarter size in diameter and no, it shouldn’t deflate. I love banh ran and made them may times before. Our recipe uses only rice flour and the product comes out not always perfect. Also during frying, the ball exploded often. I will deffintely try your recipe. Thanks. Oops, where do I buy potato flakes? potatoe flakes are the same as dehydrated potato for mashed potatoes. you won’t get the explosion if you use it. good luck! Love, love your recipes and pictures. What is potato flakes? How do I make this? or is there a subtite for it? LOVE the video of mom. It’s like I’m back in the kitchen with my southern grandma – but we made biscuits. Can’t wait to make them. One questions – What type of oil do you use? Many Thanks! Thanks very much for sharing a beautiful loving family’s recipe. hi – just came across your blog – great recipes and stories here just a small question – does the potatoe flakes make the banh cam crunchy? i’ve tried another recipe before and when first fried up its crunchy but after an hr – gets really soft. thanks! Hi! I made these today and they turned out perfectly! I normally fail at making any desserts so was so happy when these turned out. Thank you for your fab blog and sharing your recipe. Now..what to cook next?! yay! post the photos on our facebook page if you can! I have yet to try making these but I’ve seen them in various Asian restaurants, always passing them up because I thought they were wheat-based. When I read this article I immediately tried them the next opportunity. Oh how wonderful they are. Addictively chewy. Now I need an opportunity to try making these to share. Thank you. I love discovering new foods that don’t have wheat. Hi, I tried posting but it didn’t seem to work? Thank you so much for the best banh cam video/recipe. My family loved banh cam…i think i can fullfill their craving now. How do you get the center to rattle, like the northern style? I have made these for years, but this recipe on this site is best! Can fill with traditional mung bean, or red bean paste, or banana, or even sweet potato mash with sugar. Very good site. Dear Hong and kim, a long time fan of your blog! 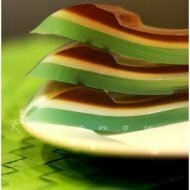 This is a childhood snack that i have always wanted to learn how to make. I always gobbled these up when we trekked down to our local vietnamese grocery neighbourhood. After my 6 year old requested it and there was none in stock at our local asian stores, i finally plucked up the courage to make them and wowww they are sooo easy with your recipe and lovin’ the parents video – such a warm and homely touch! Thank you, i called my mother tonight to say i made it and she now wants the recipe very proud because she is always handing down her vietnamese recipes and now i can give her one! Thank you so much for this wonderful recipe. How will I keep them crispy? Would you be able to translate this recipe to vietnamese? I’ve made it multiple times for my family and friends and my mom would love the recipe but she doesnt speak English! I made these tonight and I can’t believe I was successful. I had never even heard of Banh Cam until running across a video of someone making them. Your recipe was so easy. I will use less water in the dough next time as I had to add a little more rice flour to keep the dough from being too sticky in my hands. The toasted sesame flavor and chewy texture are wonderful. Thank you so much for sharing your family recipe! I’ve eaten alot of banh cam and I find that some bakeries make them better than others, meaning sometimes the banh cam is thick (which I don’t like) cause I like them thin and crispy. Would I accomplish this by taking the dough and rolling it out superthink and then adding the filling? In the video it seems like the dough is very thick around the filling so after it is fried and you take a bite, will there be a thick walk before the filling? The good ones I’ve eaten have a thin wall less than 0.25cm in thickness. I’m really excited finding your blog since I really want to make Bánh Cam. There’s one thing in the recipe that I don’t know what it is and where to find it – it’s mash potato flakes? What does it call in Vietnamese and where would I be able to find it? Thanks so much. On this website I just read a restaurant review and there are a sesame crisp ball dessert and also a dumpling dessert that I would love recipes for. Here is the website, the pictures are near the bottom. can we use potato starch instead of potato flakes? if so then how much? potato flakes are simply dehydrated tomatoes used for mashed potatoes, would use that instead. I LOVE BANH CAM SO MUCH!!!!! I’ve used this recipe at least 4 times and they all come out perfectly. Thank You for sharing. Thank you so much for this recipe! That was awesome and I loved how you made the video with your parents talking too! (That was so cute!) I always just bought these at the store…didn’t know they were easy to make! Where can I find potato flakes? What is that? i love your recipes. it really helps me alot. i google so many recipes and always end up using your site. but i have a question i remeber growing up and eating this but with and orangey glaze?? is that the same glaze/syrup you a talking about?? can i get the recipe?? 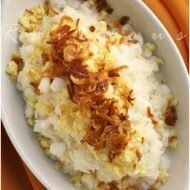 Bot 2/3 cup mash potato flakes de lam banh cam sis mua o dau vay? sis Helen lam on cho Nhu Thao xem cai bao bot nha ? This is a fantastic recipe that allowed me to impress my family. On another note, I want to thank you two for inspiring me to launch my own Vietnamese food blog (it is in its baby stage). I don’t think our cuisine gets nearly as much recognition as it deserves among the non-Vietnamese, so I commend you and similar bloggers for spreading the knowledge. Keep up the good work, Kim and Hong! great job and keep up the site! I used to have to wait on my mom to get one of her friends to make these or until i was able to get to the Vietnamese store. Quite frankly I wanted these more than every couple of months so I was thrilled to see this recipe on your site! I absolutely loved this recipe! It was very easy to follow especially with the video. Thanks so much for posting it! The only thing I did differently was to fry at 350 to avoid some of the greasiness. Thanks you guys! Really look great I would love to give it a try. But I wanted to ask, how do you make banh cam stay crispy and round for a couple of days? Because I had try some homemade but it doesn’t stay round and crispy that long. Hi, I really loved this recipe and video! I want to make this in my food tech class, and was wondering how necessary it is to rest the balls for so long? Would it still be ok if I only rested them for 15 minutes to half an hour? think that would be ok, let us know how it goes! I made the banh cam in my food tech class, and only rested it for 20 minutes and it looked and tasted incredible!! I also put sweet potato, sugar and vanilla in the filling instead of mung bean, and mashed a potato to put in the dough instead of potato flakes. Thankyou for the great recipe!! Thankyou! just bought some sesame balls and was thinking to make them 4 christmas,but I’ve always though it a waste to have the whole ball in sesame.I am so glad to read your stuffed idea from your parents.Very Nice! Will definately give my family a pleasant surprise this holiday. Thank you so much for posting this amazing recipe! I have searched far and wide for the perfect recipe which has this texture and consistency and let me say… no other compares! I have made these along with stick rice wrapped in banana leaves to gift to my relatives for Chinese New Year. Thanks again and Happy Chinese New Year! Hi! I tried your recipe yesterday for Tết! It tasted delicious and everything went pretty well. However, I had some problems frying them. The outside looked gorgeous, but the inside didn’t cook enough. The inner dough didn’t become translucent, and no air pocket was created between the filling and the dough. I think it was because we put the banh cam in the fridge for too long before frying – the inside was too cold to get warm by the oil. Do you have any idea of other ways this could have happened? What would you do if you realized your banh cam weren’t cooked enough? If we put the whole banh cam back in, the outside would burn before the inside cooked. We ended up cutting them in half and frying them again. Looked bad, but tasted good! i think you’re right. we leave it at room temperature. also, if the dough is too thick it may take alot longer to cook on the inside. I have a friend and his wife made them with mung bean and chocolate. very good. not real sweet. I really enjoyed them. Will have to get her to make some with coconut. I ADORE these, especially the filling. I cannot wait to try this! Can I make Banh Vong out of these dough? hmm.. what does banh vong look like? we’ve never heard of that.. It looks kind of like a donut with glazed sugar and sesame seeds sprinkled on top. It’s crunchy on the outside and chewy on the inside. Thanks for the recipe! I had this in Vietnam a week ago and loved it, but I also had a similar version with a dark red filling that I liked even more. Can you please tell me what that was and how to make it? Thanks for the recipe! I had this in Vietnam last week and lives it, but I also had a similar version with a sweet dark red filling that I liked even more. Can you please tell me what that was and how to make it? I think it was some kind of red bean paste…but that’s just a guess. you’re right, it’s red bean paste, you can find them premade in cans. Hi there! These look amazing – I can’t wait to try making them. I was in Hanoi two years ago and had something like this but they were savory with meat filling instead. I have done some research and I think they were called bánh rán mặn but I am not certain. I was wondering if you might have a recipe for those as well or if you could refer me to an English recipe somewhere! 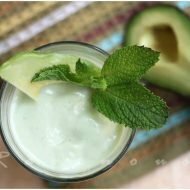 I cannot seem to find any English recipes online. Thank you for posting, it’s one of my favorite. I must, must try this recipe. I am so excited. I love this recipe! I made it and brought it to my work and they love it! Only one thing to ask you if its okay to prepare the dough with sesame it at night and deep fry in the morning since I am kinda slow and not have time to do all in the morning. ..so l can just fry it and bring it to work early in the morning? wow this is one of my favorite vietnamese snacks ! I’m so glad I foudn this blog! Are you sure that’s 2 tablespoons of baking powder for the dough and not 2 teaspoons?? It seems excessive…. Thank you for the recipe! For some reason I can’t find ANYONE who made this and sold it in an oriental market nearby (gasp!). So in an act of desperation and deprivation I finally decided to make these and they came out awesome! Sososososososo yummy! i tried this recipe, it is the best but it turn soft after couple hours, how to keep it crispy for many hours? Thanks for sharing this recipe. I made some last night, and it turns out to be the best banh ran I’ve ever made. It is not crispy this morning, but it’s still good as it is soft and chewy to eat, not like the other recipes that I’ve tried before, it just hard the next day. Looks amazing you guys! I enjoyed the video with your parents in it. I will try this soon. Look similar to the Cantonese dim sum….Gin Dui. with black, adzuki, or lotus bean sweat paste. I like the filling combo..Here in Hawaii we make coconut Gin Dui.. I LOVE that your parents are showing us how to make these! I have to make them soon. They’re my fav Asian dessert!